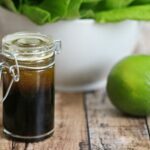 Soy-Lime Vinaigrette Recipe - Frugal Mom Eh! 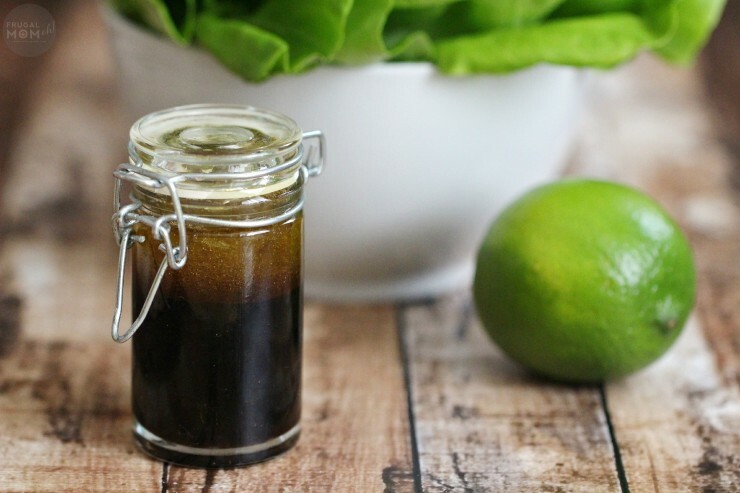 This Asian inspired Soy-Lime vinaigrette is perfect to elevate and change up your everyday salad garden salad – it’s also fairly light at only 69 calories for a generous 2 Tbsp serving! It’s a totally guilt-free way to have your salad and enjoy it too! 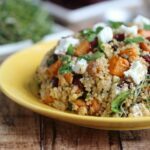 It also works well with heavier asian noodle salads made with soba noodles or rice noodles and is absolutely heaven on whole grain salads like quinoa. 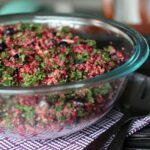 Check back next week for an amazing Quinoa Salad I am going to share that works incredibly well with this Soy-Lime Vinaigrette! This is such a basic and easy vinaigrette and is a perfect canvas for other flavours. Try throwing in ginger and garlic or even some cayenne or sriracha for a change of pace if you dare! Combine all ingredients in a mall mixing bowl, and whisk to combine or combine into seal-able jar and shake well to combine. Combine all ingredients in a mall mixing bowl, and whisk to combine or combine into sealeable jar and shake well to combine. 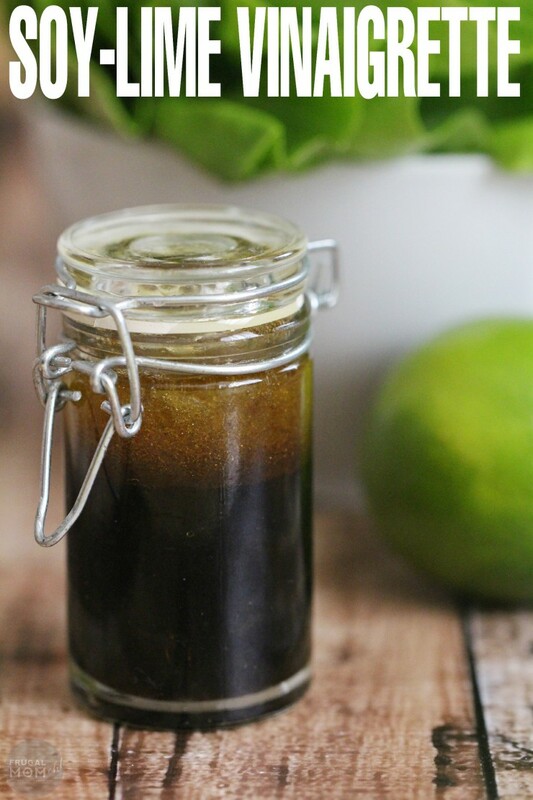 Do you make your own homemade vinaigrette or dressings? What is your favourite recipe? This looks interesting….and tasty. Full of flavor! Will have to try making this. I try to make my own dressings, I just find that they taste better without all the preservatives in them. Yummy, we usually try to make our dressing instead of buying. I will definitely try this one. Love how easy this is to make, and great choice for storing it in the jar, love the flavor, perfect for spring time salads. I really like how simple and light this dressing is! I will definitely try it. This looks good. I like that it only has four simple ingredients. Thanks for the recipe. I love vinaigrette dressings and asian salads (mandarin oranges anyone?) but have never found a good combo of the two. This sounds like it might be the winner. I would not have thought to put these flavours together in a salad dressing but it sounds quite zesty! I make a marinade for tofu similar to this – just with some added spice of chili pepper in it – absolutely wonderful to use that way as well! This looks so delicious and so easy using ingredients I already have. I’m always on the lookout for new salad dressings, and this one looks great! Love that it has so few ingredients, all ones that I keep on hand, and should only take a minute to whip up! This dressing looks interesting and delicious! I wonder what lemon would taste like in place of lime? I might add Sriracha as well — one of my favourite hot sauces. Thanks for sharing this great recipe! This sounds perfect for a plain salad or with shrimp or salmon. I’m always looking for a good Asian dressing and can never find one so I’ll give this a try. I even have all the ingredients already! 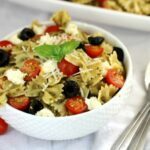 I make a lot of my own vinaigrettes and think this would go well with certain types of salads! Thanks for sharing! I cant wait to dress up my salad with your Asian dressing ,thanks so much for sharing ! 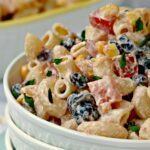 I’ve never seen this recipe before but I love the combination of ingredients and I bet it’s delicious !